Cellulite is more commen in women than men. 4 What Is Tarragon Spice? Gotu kola, Centella asiatica, is a perennial herb indigenous to subtropical and tropical climates. It is effective at flushing cellulite by improving the circulation of blood and enhancing the structure of connective tissue, allowing new collagen formation, which keeps skin tight and firm. The active components of gotu kola leaves are called triterpenes. According to the European Journal of Dermatology, extracts of gotu kola “exerted a preferential stimulation of collagen synthesis and was active at low doses only.” Furthermore, gotu kola can aid in flushing toxic pathogens from the body. The journal Molecules reported in 2009 that gotu kola has, “antimicrobial activities and has a protective role against attempted pathogen infections.” Gotu kola comes in many forms, including powdered dry leaves, extracts, lotions, teas and capsules. The usual dosage is 20 to 60mg three times daily per extract or 1,000 to 4,000mg three times daily per dried leaves. Gotu kola should be use for six weeks or less, with at least two- to three-week breaks in between usage. People with liver disease should avoid the herb. One method to get rid of cellulite is to flush toxins from the body. Dandelion, Taraxacum officinale, helps flush waste products out of the liver, enabling it to work much more efficiently when getting rid of toxins. Dandelion also contains potassium in high levels, which helps fight the retention of fluids. Dandelion can be used in salads or drank as herbal tea. The herbs and roots are also available in extracts, tablets and capsules. The dose of dried dandelion leaves is 1 to 2 tsp. three times per day. The dose of dandelion root is 2 to 8g, three times daily. The extract dose is 250mg three to four times daily. Side effects associated with dandelion use include gastrointestinal upset. Parsley, Petroselinum crispum, works against cellulite a variety of ways. First, it acts as a detoxifying agent and diuretic, flushing excess water and toxins from the body. It also protects the liver and helps reduce blood glucose levels, which is a known risk factor for weight gain. In 2004, the journal Phytotherapy research reported, “Parsley is used to reduce blood glucose. … It demonstrates a significant hepatoprotective effect.” Last, like gotu kola, parsley enhances circulation. The dose of parsley herb is 2 to 4g three times per day. It can be added to meals or to herbal teas. Fenugreek, Trigonella foenum-graecum, is available in leaf or seed form. 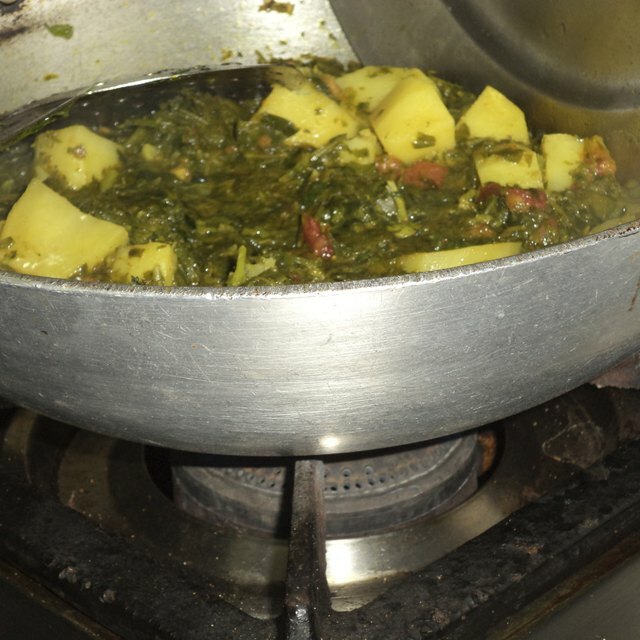 The leaves are often cooked in curry or vegetables, and the seeds are used in curry powders and stews. Fenugreek is used internally for weight loss and externally for cellulite. Acta Poloniae Pharmaceutica notes, “Fenugreek seeds possess antioxidant effects and contain a mucilage which has emollient properties. It can also produce skin healing, whitening, moisturizing, skin soothing and anti-wrinkle effects.” For internal use, the typical dosage of fenugreek is 5g per day of seeds or 1g per extract. For external use, a variety of creams contain fenugreek seeds. For best results, the cream should be used two to three times daily.